Akash Business park project is an industrial venture to fulfill one’s industrial ambition. Through this project, we are providing industrial N.A. under ‘D’ (development) zone declared by Maharashtra government sanctioned plots in Shirwal MIDC, which are surrounded by industrial areas of Khandala, Lonand & Wai. ranging from minimum 5000 sq.ft to 80,000 sq.ft. • Industrial N. A. sanction plots. • 22 KVA MSEB Provision reserved. • Big frontage for a plot. • The level plot as per company required. • As per the basic requirement for NOC of company and Environment, the permission has been taken from the government. • All the documentation is ready and will be complete with one signature only. • As per requirement, the facility of Factory building & a shed can be available; the company can start the same day. Pune Railway Station – 53kms. 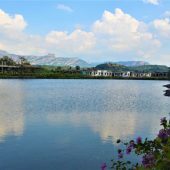 Hinjewadi IT Park – 67 kms. Satara MIDC – 40 kms. Wai MIDC – 38 kms. Lonand MIDC – 16 kms. JNPT port – 135 kms. Industrial plot sizes are ranging from 5000 to 80,000 sq.ft. Akash Business park project is an industrial N.A. 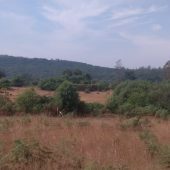 under ‘D’ (development) zone declared by Maharashtra government sanctioned plots in Shirwal Khandala MIDC.